Car Title Loans in Canada is the fastest way to get cash in a hurry when the banks say no. At Fast Canada Cash, all you require is a fully owned vehicle no older than 10 years. Our loan representative are available anytime 7 days a week to solve your financial situation. Have bad credit or no credit? No bank is ready to give you loan? Don’t worry, Fast Canada Cash is the best Car Title Loans company in Canada! 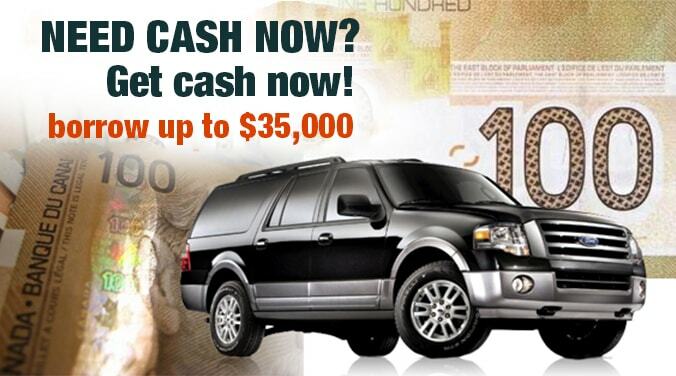 Here at Fast Canada Cash you can easily get your car loan even if you don’t have a job. We use your vehicle as collateral so there’s no credit check involved. Call now to see if you qualify for up to $35,000! Our loan term is up to 4 years so you have plenty of time to pay us back. There’s also no penalties for paying out early and you get to keep your car during the loan! Fast Canada Cash is here to provide the best service and lowest interest rate in Canada! We lend money based on your car value. Your car is your collateral. That’s all you need to get fast cash today, so why wait? Stop worrying about bills and creditors and take control of your finances right now! Your title loan cash is out there, just waiting for you to come and get it, so let Fast Canada Cash supply your next title loan! Go get your fast quick and instant car title loan today. Our company is in compliance with the provinces and local regulations. Code of Practice/Policy on responsible lending as per the (PPSA) Personal Property Securities Act of the respected province of Canada.